So remember how I explained about how I’m not a fashion blogger? I’m not. Not in the cards. For so many reasons. But I do like a good remix. 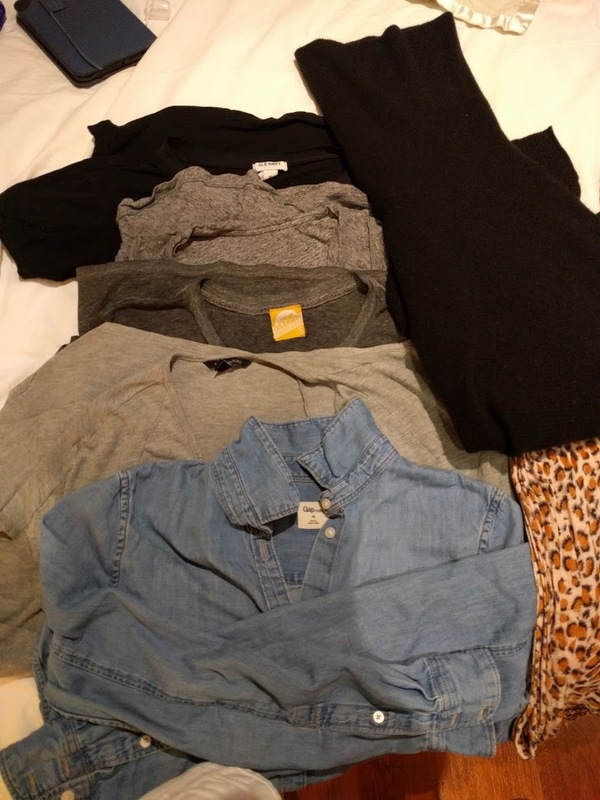 And I realized I have lots of capsule wardrobes that are created just because . . . you know, travel. By necessity, you can only have a limited number of things when you are on the road. 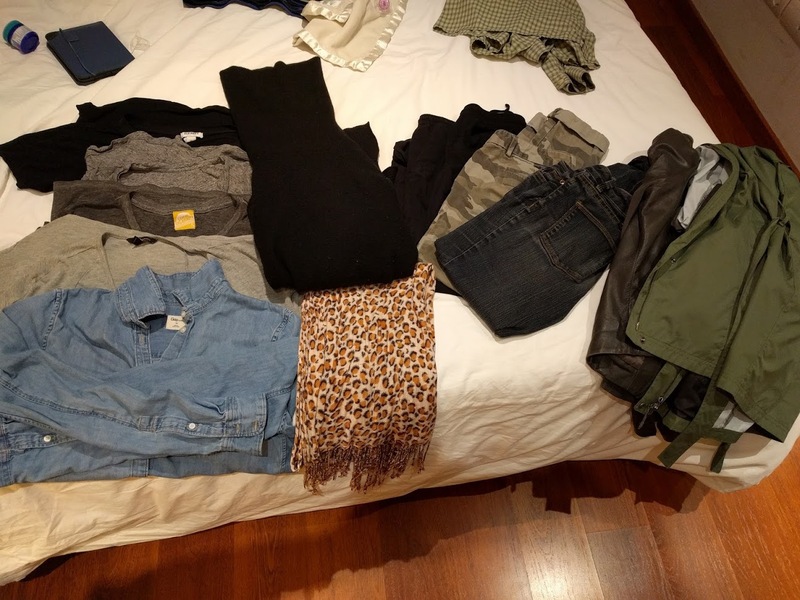 So, with my star photographer’s (Henry’s) help, I made sure to capture all of my outfits on our recent Barcelona trip. Although I must say that this was different than what I hoped to pack. I wanted to be strolling around Barcelona wearing sundresses and sandals. Alas, it was not to be. Some of the days were sunny with temps near 70. But others were cooler or straight up rain. Life happens. Let’s see what I brought. And that’s it. I didn’t provide links for stuff because most of it is ancient, and I didn’t provide links for similar because not a fashion blog. I was surprised seeing how much Gap/Old Navy stuff I have. I think that is because of the online shopping I’ve done over the recent years. Instead of taking risks, I’ve been just sticking to familiar brands. Something for me to work on. At the end, I’ll share some thoughts on what worked and what I could have done better. What are your go to travel pieces? 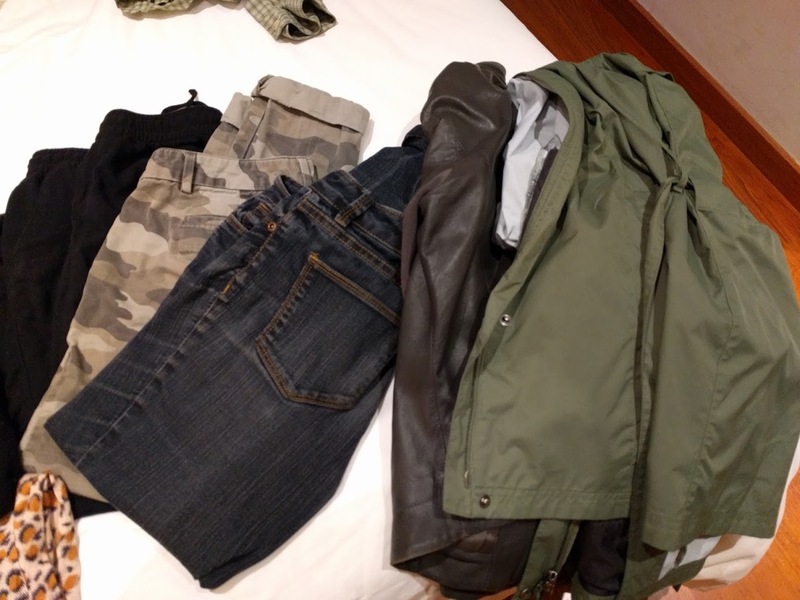 Do you find you have a set wardrobe for your trips? Can’t wait to see more!! Love the real pictures 🙂 haha I can relate! Wow, how sweet! Your comment was the push I needed to get the next post up. Thanks so much.